Once there, enter your e-mail address and password. Then select Vermont and Food Works as your market. Once you have made it into the market you can shop as you would any online store. Add items to your basket and check out when you are done. Once the market is closed, Orders will be packed. When orders go out an official invoice will be sent along with the box of food. Invoices are expected to be paid within 30 days of delivery. Invoices not paid within 30 days of delivery will incur a 1% interest charge every month that they are unpaid. In 2013, FTT will be offering a variety of alternative eating styles in our recipe of the week. We will feature vegan, vegetarian, gluten-free, raw, and other unique styles of cooking. These recipes are designed to match the seasonal offerings of our local food program! 1. Scrub potatoes and cut into a small dice. Place them in a large saucepan with the water. Bring to a boil, lower the hear, and simmer, partially covered, for 5 minutes. Set aside. 2. Melt the butter or heat the oil in a soup pot or Dutch oven. Add onion, caraway, and salt, and cook over low heat, stirring occasionally, until the onion is quite soft (after 15 minutes). 3. Add the cabbage- as much as will fit- and cover. Cook over medium heat until there is room in the pot for the rest of the cabbage. 4. Add the remaining cabbage, the potatoes with all their cooking water, and black pepper to taste. Cover and simmer another 15 minutes. Serve hot, topped with a little sour cream or yogurt and some fresh dill. From Your Local Farmers to your Table!! I'd like to let you know about an awesome event happening on Saturday January 26 from 11 AM - 2 PM at the Old Labor Hall in Barre!! Central Vermont Seed Swap, Potluck & Market! Get ready for the gardening season! No matter what kind of gardener you are - just starting out, amateur or seasoned, backyard or market - come to Barre's Old Labor Hall for a good ole seed swap on International Seed Swap Day! This is a KID FRIENDLY event so bring those youngsters! WHAT DO YOU DO AT A SEED SWAP? Bring your saved non-GMO seeds (in labeled packages; variety and year). They can be seeds you bought last year and didn't use or seeds you saved from plants. Put your seeds on the table with their veggie, flower and other seed friends. Then, go and look for ones you like. Don't be shy about taking what you want, but leave some for others! WHAT IF YOU DON'T HAVE SEEDS TO SWAP? No worries - there will be enough for everyone! You can still come and find seeds to take home with you! High Mowing Seeds has also made a generous contribution of seeds to help out with the supply. - Potluck Soup Lunch: While you're at it, stay for lunch! Bring a hearty soup to share and your own bowls/spoons. Hosts include: FoodWorks, Barre Community Gardens, Barre Farmers Market, Granite City Grocery, and Food Not Bombs. Want to help setup, organize seeds, and/or clean up? Contact Emily at [email protected]. - If you have not registered, do not know how to register, or do not know or remember your password, please e-mail [email protected] to get that resolved. 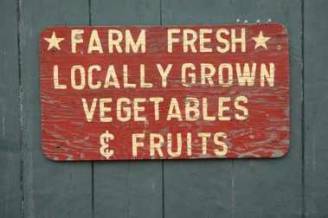 - As always, we work diligently to provide fresh local food products at a fair market value. This is incredible work we are all contributing to. Farm-to-Table is providing access to food for populations who really need it, as well as education for those sites. Lets spread the word. Tell press to get in touch with [email protected], or call 223.1515 or write an editorial to your local press. Pursuing community food security, fostering agricultural education, and teaching the art of food from seed to table. Everything that we craft is at least 99% locally grown and organic by weight. Outside of cumin and curry, the furthest we go for any ingredient is Maine for solar evaporated sea salt. INGREDIENTS: ORGANIC BLACK BEANS, ORGANIC CARROTS, ORGANIC ONION, ORGANIC RYE FLOUR, ORGANIC KALE, ORGANIC SPELT FLOUR, ORGANIC SUNFLOWER OIL, APPLE CIDER VINEGAR,ORGANIC PEPPER , ORGANIC GARLIC, SEA SALT, ORGANIC ROSEMARY, ORGANIC SPICES (INCLUDING TURMERIC). Last of the season... delicious and sweet!! Vermont Frozen is a collaboration of Non-Profit Food Hubs. Local Growers in Central VT Grew the produce, VT Food Venture Center in Hardwick processed the produce into frozen, and the Mad River Food Hub in Waitsfield distributes the product. Kids love baked squash smiles!! Forward this newsletter to a friend! Copyright © 2013 * Harvest to Market Online * All rights reserved.